Picture this times 125. 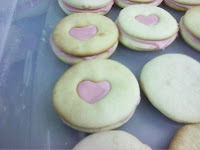 Sugar cookies and pink icing. 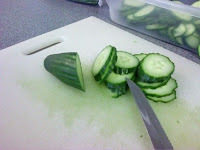 Cut up 10 cucumbers. Made GIANT vat of egg salad (ew). Yup. 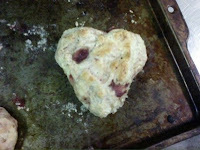 I am a scone master. But above all, today reminded me that I really do love my job. Want to open a baking shop with me? More commonly known as a “bakery”, I guess… haha.